Yes, we all should be eating five to seven servings a day of fruits and vegetables, but do you know anyone who actually does that? Me neither. 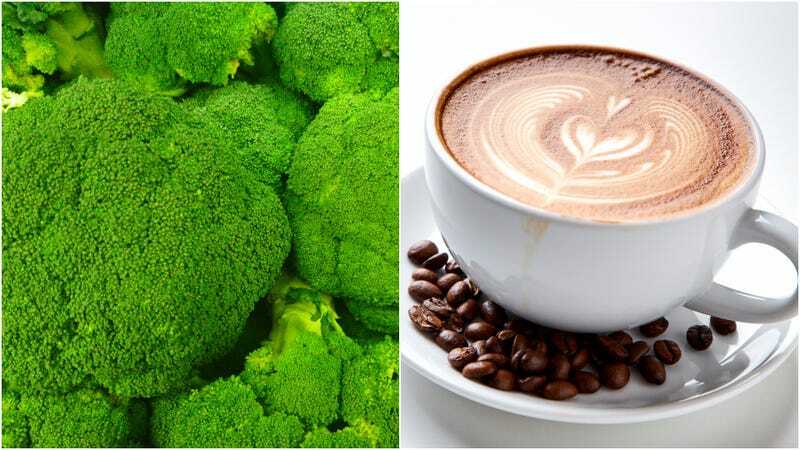 So in a possibly desperate effort to get people to absorb those much-needed nutrients, Australia’s Commonwealth Scientific And Industrial Research Organization and Hort Innovation have created broccoli coffee. Not only will the powder help with helping reach that five-to-seven serving limit (two tablespoons equals one serving of regular broccoli), it also works to eliminate food waste, as bruised and otherwise “ugly” vegetables can be distilled into the powder. The process also uses the entire vegetable, from crowns to stalks. While you can definitely count me in the category of people who don’t eat enough produce, this food development has a “soylent green” element I’m finding hard to shake. Plus, it also sounds like juicing, which was such a big hit years ago: Yes, you get the nutrients, but what about the fiber? Would anyone really be filled up by broccoli powder? Somehow I doubt it. I think I’d rather just dump some cheese or peanut sauce on the broccoli instead.